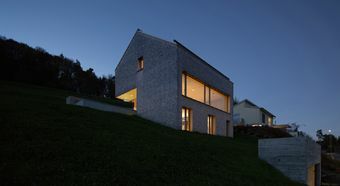 This single-family house in the small municipality of Bottenwil is located high up on a plot with a steep slope. 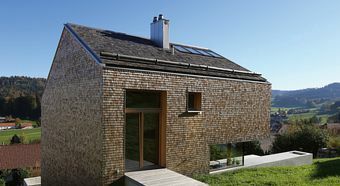 Access to the house is provided through a sunken garage and a subterranean set of stairs that lead into the property. The interior has a surprisingly Scandinavian furnishing style. 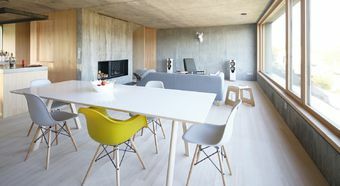 Light wooden floors, walls of exposed concrete and wood harmonise with colourful features. 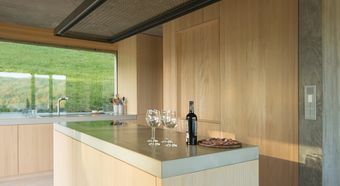 The open-plan kitchen and living room is ideal for cosy cooking evenings. 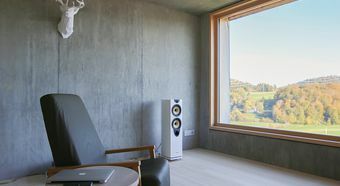 Large window fronts provide a view of the Bottenwil valley and the green meadows surrounding the house. 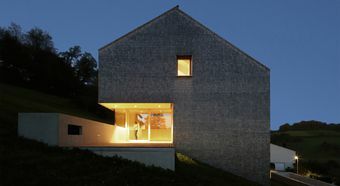 The house is equipped with KNX technology from JUNG. Lights, blinds and temperature can be conveniently controlled using the F 40 push-button sensors in LS design. 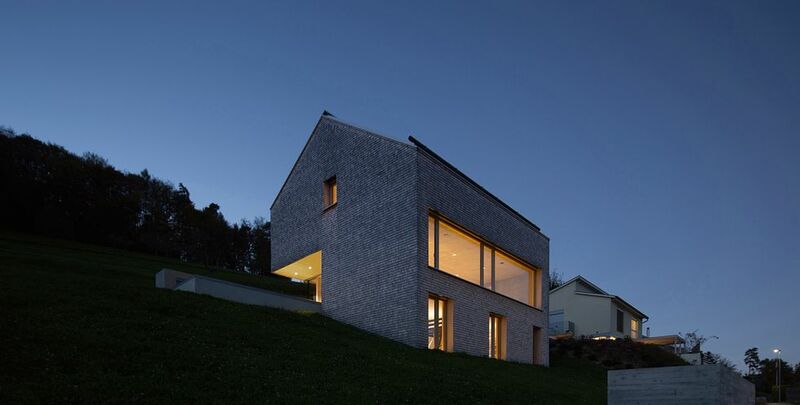 The push-button sensors in light grey fit in harmoniously with the wood and concrete walls. LS Design The LS Design provides a high degree of flexibility and a broad functional spectrum. In terms of form the frames take on the flat FD look and also have a shadow gap. When mounted on the wall this gives an impression of floating and lightness.